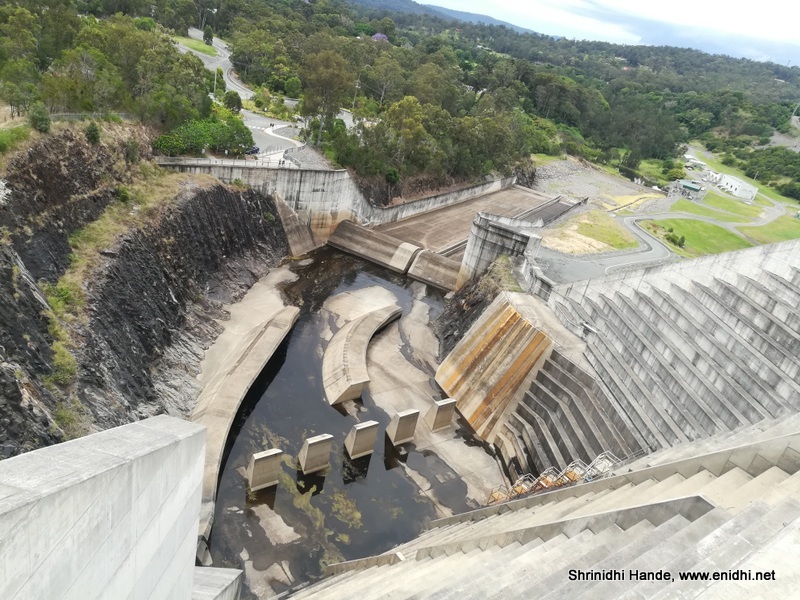 Hinze Dam was a quick diversion while returning from Springbrook National Park area. 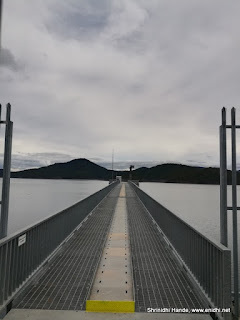 I could drive up till the top of the dam, near the visitor information centre and then walk on the dam. 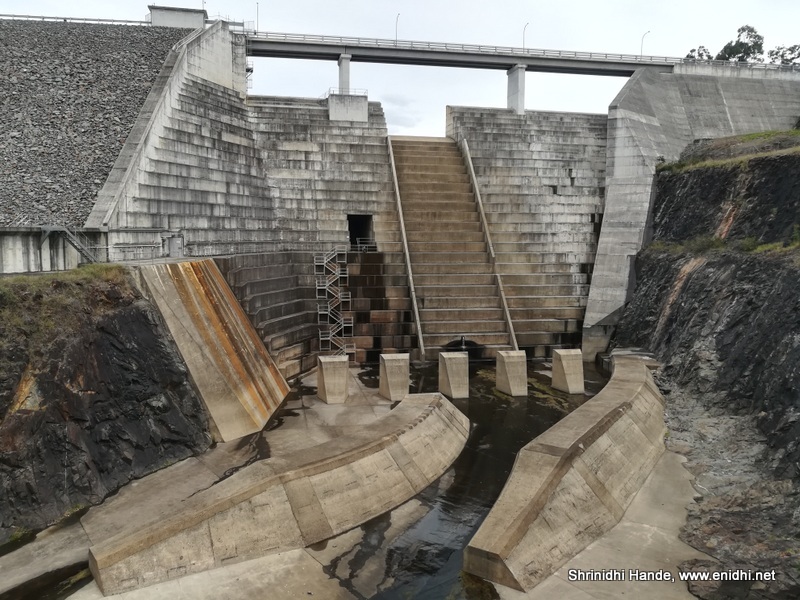 There was very little water during my visit. 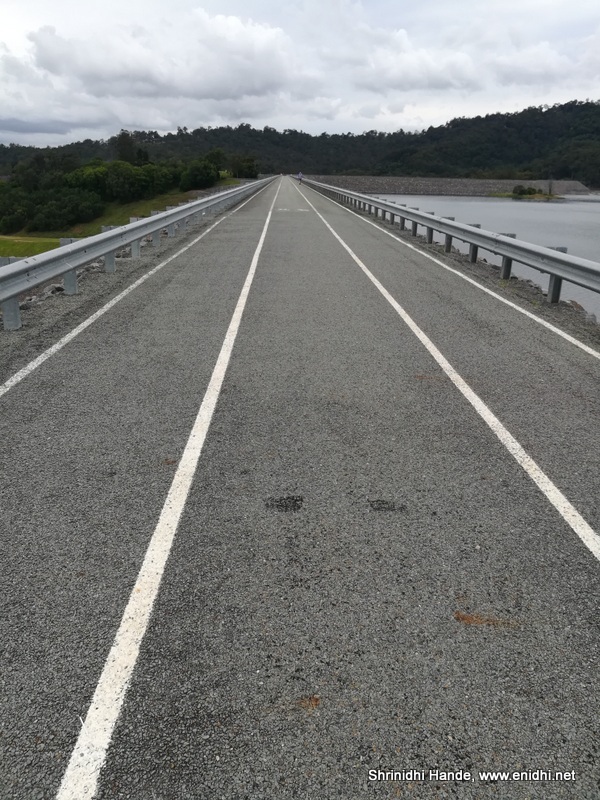 Cyclists and pedestrians are allowed on the dam top. There seemed to be a picnic area at the other end. A cafe, a visitor centre and a small park area exists at the top of Hinze dam. It was noon time when I visited and the sky was cloudy. 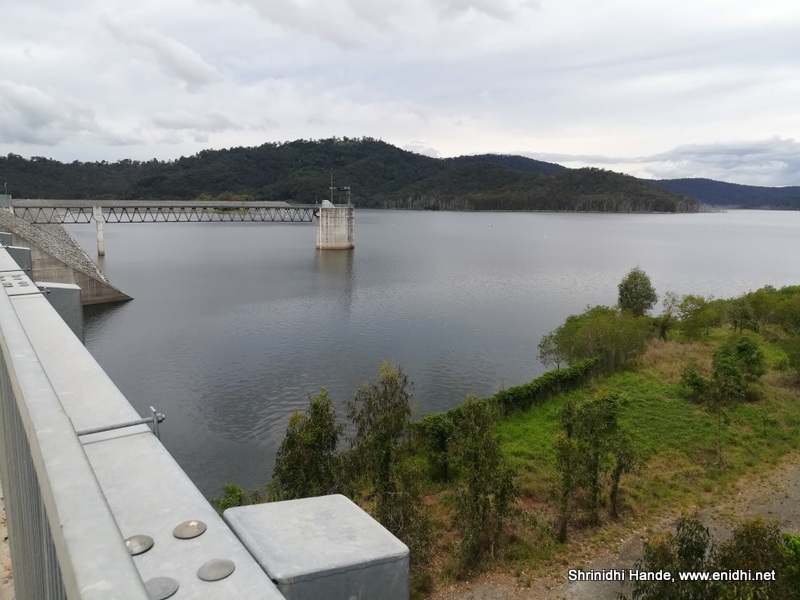 Walked on the dam, had a coffee at the cafe, took some photos, walked through the visitor centre before leaving. 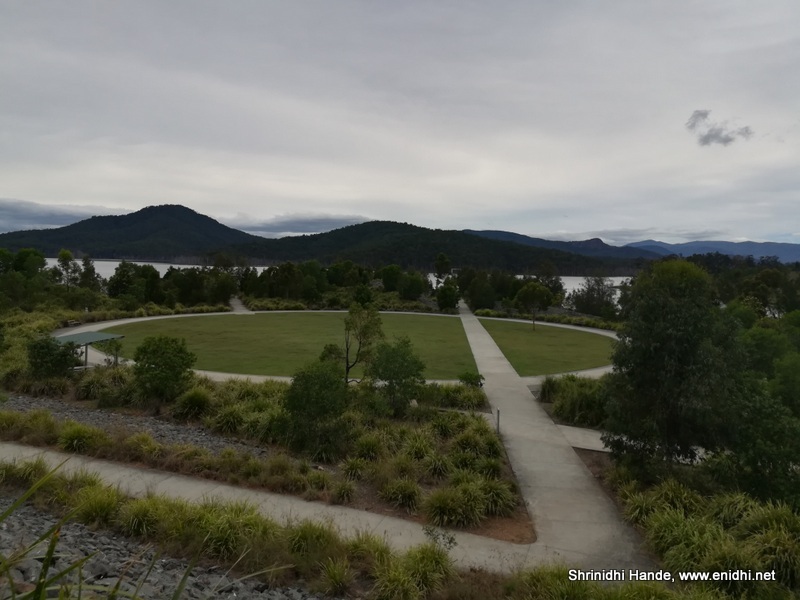 A display at the lookout (balcony) of the cafe lists various mountains and other landmark supposed to be visible from that point. All of them were bit too far to be seen clearly. 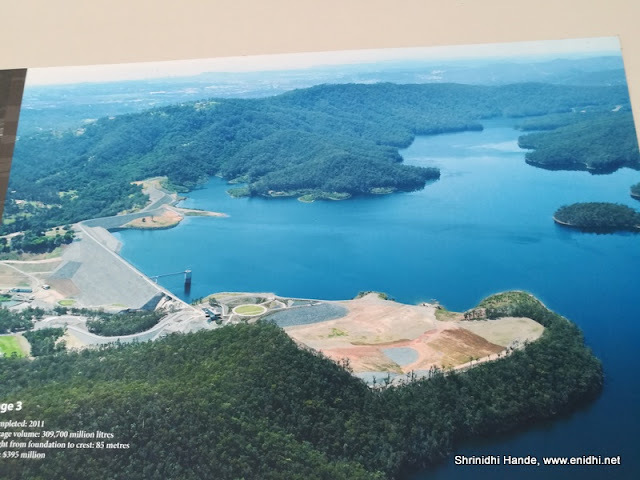 Hinze Dam was built with the purpose of providing drinking water to Gold Coast region. It is built with rocks and earth (clay core) combination. 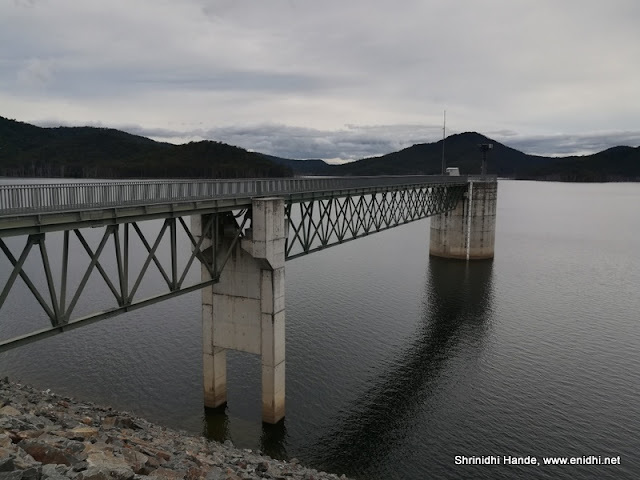 More on the Hinze dam on Wikipedia here. If you're an engineer or interested in knowing more about dams, you will enjoy a visit to the information centre. If you have a vehicle at your disposal and about an hour to spare, Hinze dam would be a worthwhile diversion while visiting Springbrook National Park area. 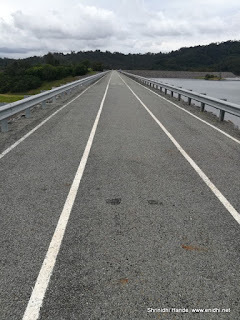 Vehicles are allowed all the way till the information centre, so I didn't have to walk much, except on the top of the dam itself. 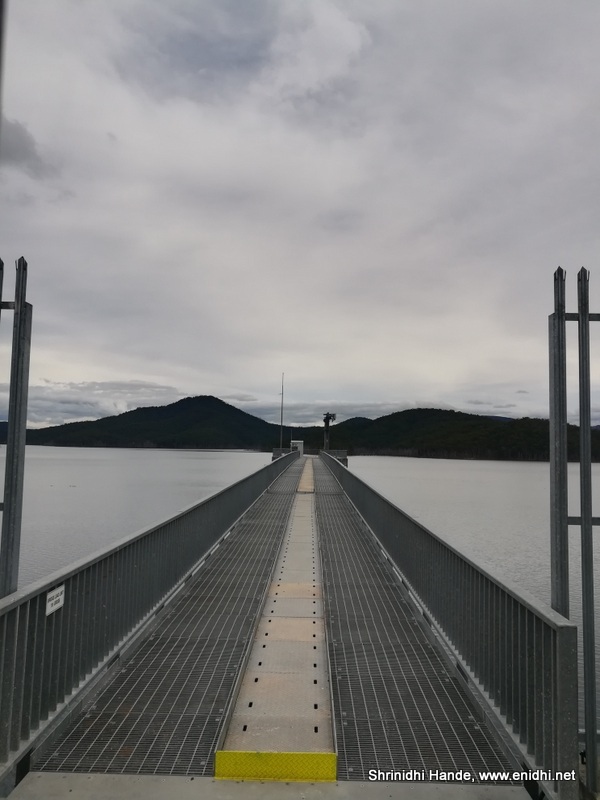 Beautifully capture images of Hinze Dam. Honda Navi- Cute, bike like but worth it? What’s new at Narendra Bhawan Bikaner?